For months I had been planning my graduation party, going over the details and making sure that it would be a spectacular and triumphant celebration. After all, how many times are you going to graduate? But the date kept getting closer and one piece of my big night was missing: the outfit. 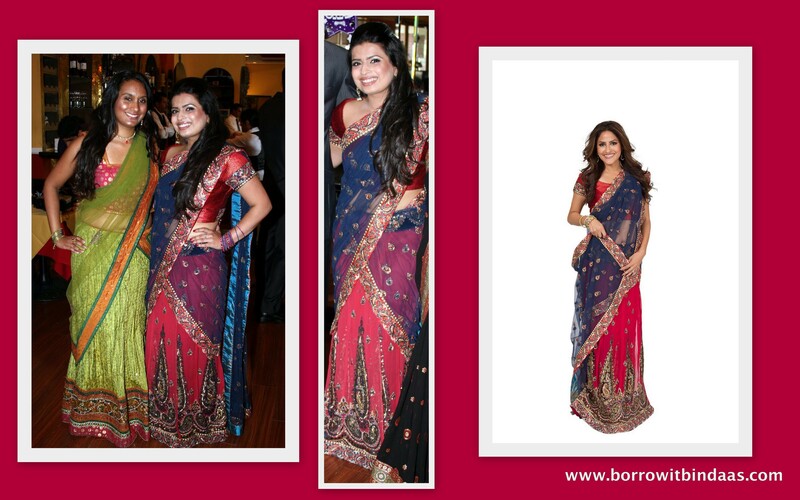 I wanted to wear a saree that was new, trendy, and would not only look amazing but make me feel amazing. A friend told me about Borrow it Bindaas and I decided to check out their website. I wasn’t sure how the whole process was going to pan out, but it ended up being super easy and seamless! Their collection of sarees was so beautiful, but when I saw Winsome Saree in Red and Blue I knew that was the one I had been searching for. Just a few clicks and it was mine! I’m so thankful to Borrow it Bindaas, for being professional and friendly. The saree arrived on time, and I was able to dance the night away without a care. People kept saying how beautiful I looked, and I that’s how I felt. Thank you Borrow it Bindaas! I will hopefully be borrowing again soon!